ATLANTA — Stacey Abrams ended her Democratic bid to become governor of Georgia on Friday, acknowledging that she did not have the votes to beat her Republican rival, Brian Kemp, but sounding a defiant note by declaring that an “erosion of our democracy” had kept many of her backers from the polls. The narrow defeat of Ms. Abrams, who would have become the first black woman to be elected governor anywhere in the United States, as well as the apparent loss of Andrew Gillum, who sought to become Florida’s first black governor, at once illuminated the vestiges of Southern history and demonstrated how demographic changes have taken hold across the region and begun to reshape its politics. The two candidates ran as unabashed liberals and their strong showings in two pivotal states where Democrats have lately struggled is likely to keep the debate going within the Democratic Party over the best strategy for making gains in 2020. There is significant internal disagreement over which candidates the party ought to put forward and how they should run. The race between Ms. Abrams and Mr. Kemp pitted two versions of Georgia against one another. Ms. Abrams, 44, represented the diverse future of the state and its capital, Atlanta, home to black colleges and a hub of black political power. Mr. Kemp, 55, who bragged he had a pickup truck big enough to “round up criminal illegals,” played to the state’s rural voters and linked himself with President Trump. In the end, it was enough to allow the Republican Party to maintain its grip on power in Georgia, which has not elected a Democrat as governor since 1998. Ms. Abrams ran a type of campaign that modern Georgia had never seen before, relying on turnout among minority and low-frequency voters and championing an unflinchingly progressive message. In turn, she won in Democratic strongholds like Atlanta and Savannah, but also in the vote-rich Atlanta suburbs that were not long ago centers of Republican influence. While every Southern state has its liberal-leaning cities surrounded by conservative countryside, the divide is particularly pronounced in Georgia because of metropolitan Atlanta’s immensity, its central role in the American civil rights movement, and the rapidly growing number of nonwhite people who have been choosing to live in the city’s sprawling suburbs, which were once destinations for white flight. Rural Georgia certainly has swaths of racial moderation and iterations of conservatism that are detached from white grievance. But there are also political attitudes, and ways of expressing them, that stand in stark contrast to a capital that has long offered itself to the world as a beacon of racial comity. Rural Georgia is a place where the Confederate flag, for complex reasons, is still embraced by many white residents as a proud symbol of heritage. And some still display it as an overt symbol of white supremacy. As recently as the late 1990s, Professor Bullock said, white Georgians cast roughly three-quarters of the state’s votes. In 2016, that figure fell closer to 60 percent. And he said he would be unsurprised if the white share of the vote in this year’s balloting turned out to be even lower. Ms. Abrams, while acknowledging Friday that she could not win, did not concede either. Still, it was the closest race for governor in Georgia since 1966. Ms. Abrams came within 18,000 votes of forcing a runoff, and about 55,000 votes of winning outright, in an election that drew almost four million ballots. As Ms. Abrams ended her campaign, she returned to a theme that had surfaced throughout: that Mr. Kemp, who was the Georgia secretary of state until the Thursday after the election, had used his position to suppress voting and ease his path into the governor’s mansion. Although she pledged to pray for Mr. Kemp, she also uncorked a bracing indictment of his tenure as secretary of state, including the election last week. 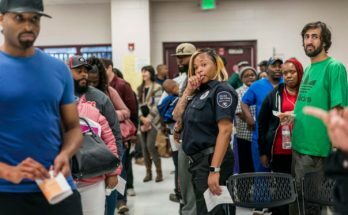 She excoriated a system, overseen by Mr. Kemp and legions of local officials, that left voters lawfully purged from the rolls, waiting in the rain and facing rejections of their ballots for arbitrary reasons. Mr. Kemp, who has defended his time as secretary of state and rebuffed Democratic attacks that he was an “architect of suppression,” did not respond directly to Ms. Abrams’s critiques on Friday night. The race presented residents with starkly different personalities, policies and visions for the nation’s eighth-most populous state. 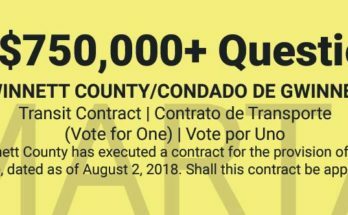 In turn, the contest drew enormous attention and money, with more than $65 million in spending, including the primaries, and about 2.1 million early votes, easily breaking state records. Brian Kemp, Georgia’s former secretary of state, is positioned to maintain the Republican grip on power in Georgia, which has not elected a Democrat as governor since 1998. Mr. Kemp vowed to cut regulations and crack down on undocumented immigrants. He captured the Republican nomination in a July runoff, bolstered by Mr. Trump’s support and by provocative television ads in which he brandished a shotgun at a teenager (to underscore his support for gun rights) and promised to round up “criminal illegals” in his pickup truck. His proposals, though sometimes vague, thrilled conservatives: a “Track and Deport” plan that would “create a comprehensive database to track criminal aliens in Georgia;” new limits on the state’s budget, sustaining the government’s efforts to lure major economic projects; and an intensified focus on stopping gang activity. He had not been the Republican establishment’s first choice — the retiring Republican governor, Nathan Deal, endorsed one of Mr. Kemp’s primary rivals before eventually offering his full-throated backing — and his hard-right tone sent waves of concern through the Georgia business community, which wields enormous influence. Ms. Abrams, a Yale-educated tax lawyer raised by civil rights activists in coastal Mississippi, ran largely as an unapologetic liberal, promising to expand Medicaidunder the Affordable Care Act as a way to address the state’s acute rural health care problem. Though she seemed most comfortable talking policy, her allies emphasized her place in the broader context of Southern history. In a campaign appearance, the television personality Oprah Winfrey spoke of the indignities suffered by nonwhite Georgians in the days of Jim Crow, saying that failing to vote now would be “disrespecting and disregarding” those ancestors. 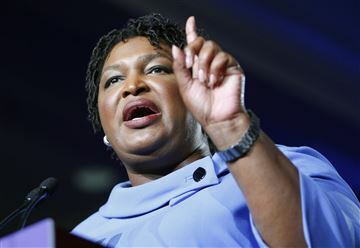 And Democrats invested enormous hopes in Ms. Abrams’s candidacy, betting that she would allow the party to rebound from a string of defeats in Georgia. But the issue that seemed to electrify voters most in the final weeks was voting access, a particularly sensitive matter because Mr. Kemp was still overseeing elections. Two days before the election, Mr. Kemp’s office announced, citing scant evidence, that it was opening an inquiry into the state Democratic Party after what the office called “a failed attempt to hack the state’s voter registration system.” Democrats denied any wrongdoing and called the announcement a political stunt. But Mr. Kemp’s record still gave Ms. Abrams’s campaign a rallying cry even after the polls closed: “Count every vote,” her campaign manager repeatedly told the television cameras, asserting that it was not yet time for Ms. Abrams to concede. On Friday evening in Atlanta, Ms. Abrams held true to that. Next Article The Offense: Election Stolen. 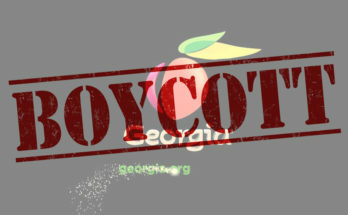 Consequence: #BoycottGeorgia.